I have belatedly learned of the recent death of John Dangar Dixon (pictured left, early 1970s), one of Australia’s leading comic artists, who died in Bonsall, California, on 7 May 2015. 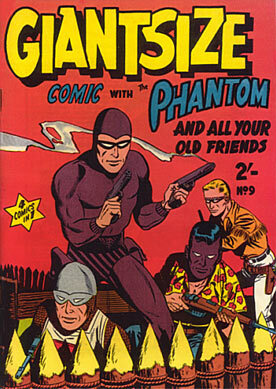 His name may not be widely known amongst Australian “phans” of The Phantom, but during his long career, John Dixon made a memorable, although brief, contribution to Frew Publications, the Australian company responsible for producing the world’s longest-running edition of The Phantom comic book. 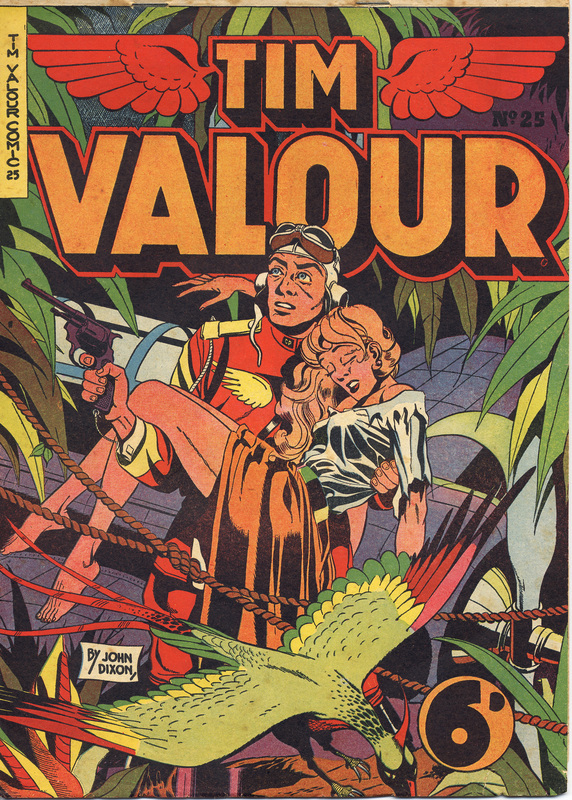 Although he was arguably best known for the internationally syndicated newspaper comic strip, Air Hawk & the Flying Doctor (1959-1986), Dixon enjoyed his earliest success as a comic-book author and illustrator, creating the aviator-adventure series, Tim Valour Comic (pictured below), for publisher H.J. Edwards (Sydney, Australia) in 1948. This was soon followed by a costumed superhero series, The Crimson Comet, created for the same publisher in 1949. Both titles would go on to become two of Australia’s longest-running, and best-selling comic book series, and each were exported to Great Britain during the 1950s – a remarkable achievement for any Australian comic book, then and now. Ron Forsyth, one of the co-founders of Frew Publications – which has published the Australian edition of The Phantom since 1948 – was impressed by Dixon’s work and hired him to redesign and relaunch one the company’s earlier superhero titles, Catman, in 1958. Dixon also drew several issues of Sir Falcon, a modern-day knight created by Peter Chapman (which was heavily modelled on The Phantom) during the late 1950s. 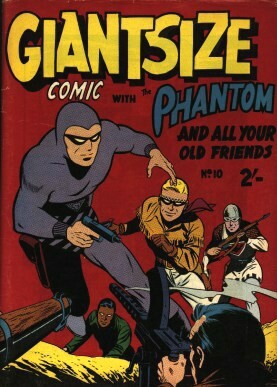 Dixon also illustrated several covers for Frew’s Giant Size Phantom Comic during this period, but sadly, never had the opportunity to draw his own version of The Phantom. Yet as these cover illustrations show, Dixon’s interpretation of “The Ghost Who Walks” would have been nothing less than terrific and, in my opinion, easily matched the early work of American comics artist Sy Barry, who would take over drawing The Phantom newspaper comic strip in the early 1960s (see below). I have written a brief tribute to John Dixon on my companion blog, Comics Down Under, but I would also refer readers to Queensland publisher Nat Karmichael’s tribute to John Dixon, who will be remembered as one of the finest comic-book illustrators of his generation (Images courtesy of Comicoz and The Deep Woods websites).